A) To avoid admitting they made mistakes. B) To refuse to correct them. That may be the moral of this tale about a prominent medical historian/physician/author and his editor at the PBS NewsHour who, as a result of their unwillingness to properly handle a simple corrections request, made possible this item. It stars with How Dr. Heimlich got his maneuver 40 years ago by Dr. Howard Markel, published June 16 on the website of the PBS NewsHour. 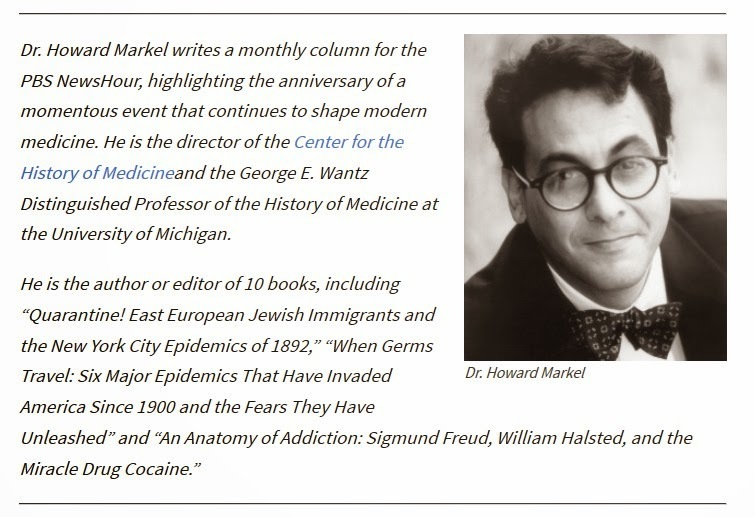 However, I spotted a two easy-to-fix factual date errors and, since I'm sort of an unauthorized archivist of my father's career, I was curious to obtain citations to documents on which Dr. Markel based two claims in his article. I assumed any self-respecting historian, especially one with his reputation, would be want to get dates right and that he'd be glad to send me the requested citations. Also, I always welcome an opportunity to pick the brains of experts, so I thought Dr. Markel might be willing and able to analyze some statistics I reported about last year (re: another Public Broadcasting story), Radiolab's junk reporting: my investigation requests to the National Science Foundation & WNYC -- and some surprising statistics about choking deaths. So on June 16, I sent Dr. Markel a courteous e-mail, complimenting him for doing a good job, politely requesting the two date corrections based on published information I included, and asking for supporting documentation about the two claims he made. To my surprise, I completely struck out. Without contacting me or asking permission to make public my request, a few days later, Getler posted an item on his blog, Warning: Chewing on This May Cause Choking. On the plus side of the ledger, he did a thorough job and got responses from Dr. Markel that might charitably be described as elliptical. But, inexplicably, Getler couldn't resist throwing this spitball at yours truly. I ask him to review reportorial problems with a NewsHour story. Then, without knowing anything about the decade of research by my wife and I into my father's singular career and apparently unaware of the scores print and broadcast media reports based on our work, without asking me any questions, he publishes a false, assumptive, insulting claim about me. What the heck, it's only my reputation and he's an ombudsman. Meanwhile, the false information was still in Dr. Markel's story, so I was back to square one. In search of more information, last month I submitted a public records request to the University of Michigan for records associated with Dr. Markel's article. I'd corresponded with him via his university e-mail address, so those e-mails and presumably other related e-mails should be subject to the Michigan FOIA Act. The university denied my FOIA on the grounds that "(any) responsive records that exist are Dr. Markel's personal records, and not public records pursuant to the Michigan Freedom of Information Act. A professor's use of university e-mail for an outside writing gig is "personal"? "Give up, Peter. It's not worth it and you're in the bureaucratic equivalent of the La Brea Tar Pits." But wait, there's another surprise, and, finally, this one's in my favor. The Heimlich Institute claims that 100,000 lives have been saved, and in his memoir, Heimlich's Maneuvers: My Seventy Years of Livesaving Innovation, published earlier this year, he includes those of Cher, Nicole Kidman and Halle Berry among them. Berry has denied being saved by the maneuver; Cher and Kidman didn't respond to inquiries. (The) Heimlich maneuver has helped to save countless lives over the past four decades including...Halle Berry.